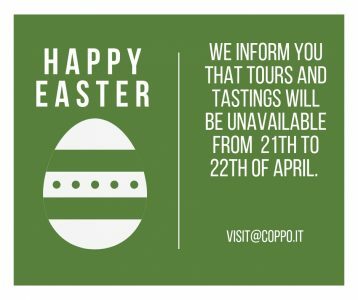 The arrival of Spring and the first warm temperatures encourage us to look for new colors, sprouts and perfumes in the vineyards. There’s a general belief that vineyards sleep during the winter. They don’t. There’s a secret life behind. Everything that happens in the hot season is set in motion by what we do in the coldest months. From Asti towards Nizza, after Montegrosso, we pass by a tunnel and turn right. 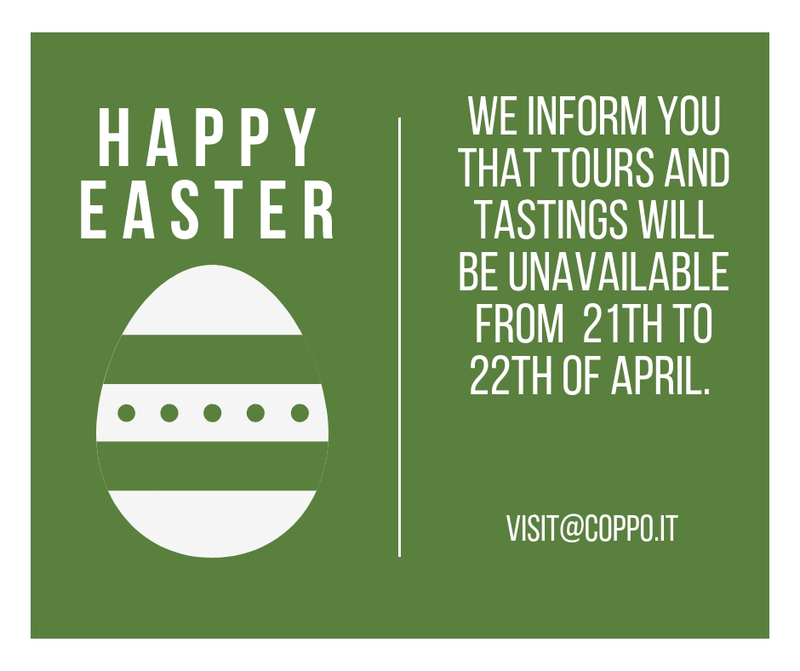 We’re south of Agliano, in the area of Nizza DOCG, the place called Pontiselli on the map. 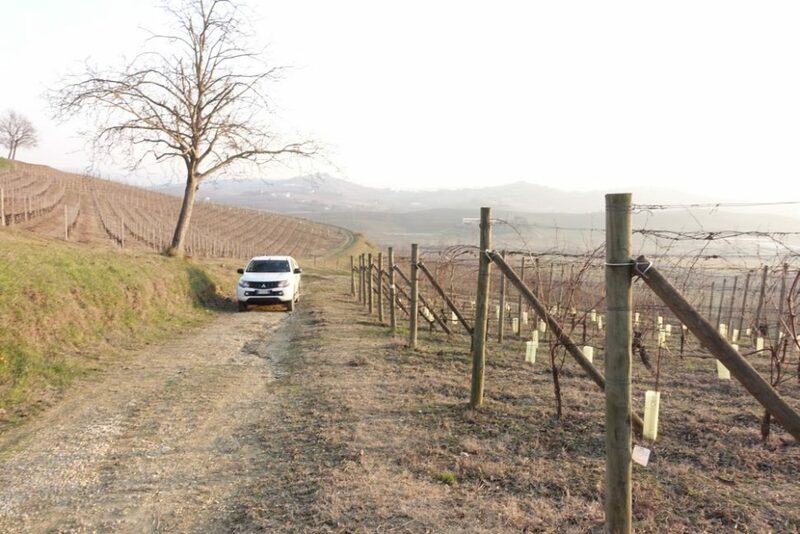 We leave the car down in the valley and start climbing the hill with Gianmario, Coppo’s winemaker and agronomist. We reach the “Gazza stripe”, 3 hectares. Barbera. 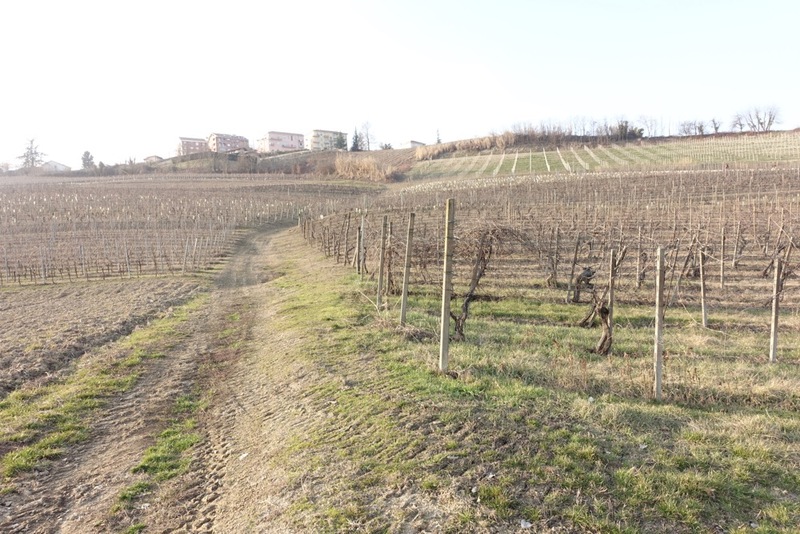 “I know it sounds weird – Gianmario explains – but the truth is that we call this vineyards like this because of its former owner. Same thing for the neighboring one, the vineyard of Prete”. It is said that the vineyard sleeps during the winter. It’s not exactly true. Winter remains an active phase. Apparently, the plant sleeps before the beginning of the new vegetative phase. But before that, in the cold season, the plant starts a very important process, not visible for the human eye since it happens underground, where the roots are. By the end of Autumn, the vine takes the sap and energy contained in its green part and concentrates it into the stump and the rest of the wooden parts. The water level also decreases, in order to help the vine face the cold season. Can the vineyards be cold? Yes, but vines are very resistant. Their vigor and adaptability to extreme conditions are the reasons why they are considered sacred by some cultures. We could say that the vine never gives up. The older the vineyards are, the more energy and ability to resist very cold temperatures they have. A few years ago it happened that the apical buds got damaged because of the temperature, but the vineyard endured. “All the activities carried out during the cold/snowy season are very important. The most important is definitely pruning. If we do this correctly, then we’re halfway through the preparation of next year’s vegetation. Also, pruning is important to preserve the strength, energy and durability of the plant. There are other collateral activities, like the scrapping and binding phases, leaving the pruned parts on the ground. During the binding phase we have to make sure that the capo a frutto – the part from which we expect to get the berries if we apply the “guyot” pruning – is put in the ideal position to be productive. How does the pruning work? We need to consider several aspects. First of all, we have to examine the vine and evaluate whether it evolved in the right way or instead it became weak because it suffered. Our ancestors taught us to count the number of buds. An approximate number could be 9. In this case, we left fewer buds, 7, because this specific plant is a bit meager. Perhaps it got slightly frozen and struggled, so we try to reduce its “workload” in order to let it concentrate on fewer buds, with less stress. 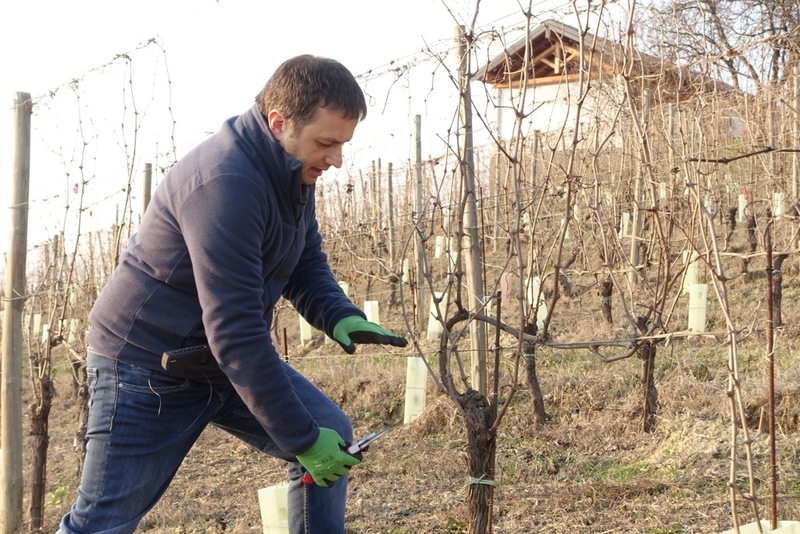 Another option for the pruner – something that our grandparents wouldn’t agree on – would be to ignore the number of buds and just focus on the desired length of the shoot. However, it is always advisable to count the buds whenever we have to deal with a struggling plant”. Two things about the pruning. The training system that we use, the Guyot, consists of obtaining a capo a frutto shoot, that will be tied and will generate the new buds for the harvest. A spurred cordon is prepared in the same way. We start counting the buds from the second one, ignoring the first. Usually, the spur has two buds and a lower position in comparison to the capo a frutto: in the next few years these buds will produce very few bunches, but we should be able to obtain a capo a frutto in the future, keeping the original architecture of the plant. “In case I made the wrong pruning, there was a climatic problem or we had to deal with very old plants, I might end up having a “dry head”. In this case, making some return cuts to remove the old part might be useful. We have to look down the stump for a strong and fertile bud, from which we have to start over. 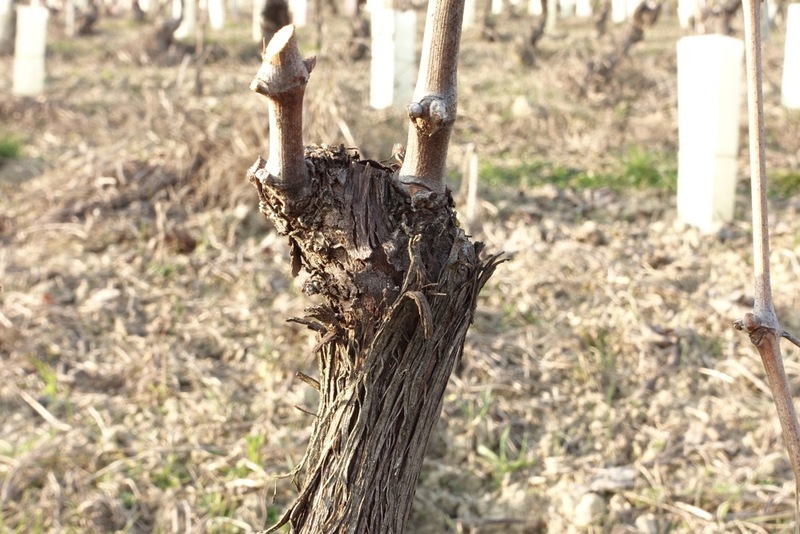 Also, pruning is supposed to keep the vine at a certain distance from the first yarn to allow an effective processing”. A glass of land and sea. 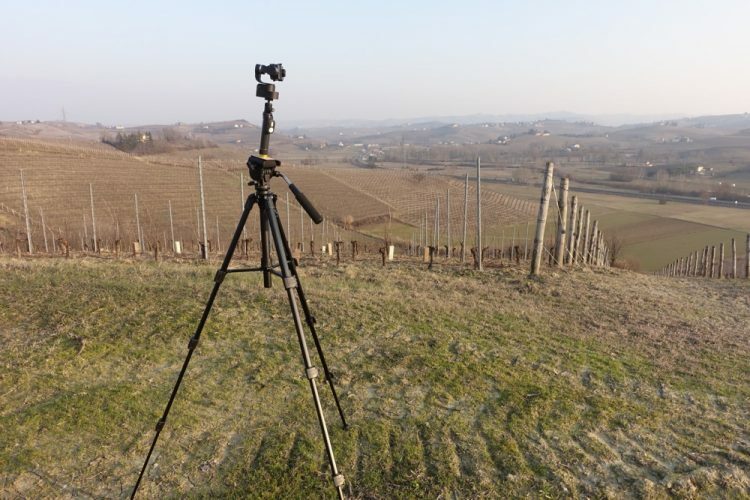 “These are 3 hectares of vineyards, Barbera only. There’s good thermic stability here, the soil contains loam, clay and small traces of sand but also crystals of gypsum. They belong to the period in which the pre-existing sea dried out. This is really important. A glass of wine from this vineyard reveals great continuity, mainly because these vineyards are quite old. Even in the most challenging vintages they give us suitable grapes for our most important wines, such as Pomorosso. Elegance and durability”. “For any ambitious company, it is mandatory to invest in human resources. I studied wine production, but a big part of my daily job is to manage the vineyards and the people who work here. The pruning process is carried out by 25 workers that we formed, with whom we discuss and confront everyday about the sub-areas, the vineyards and the climate. For instance, we just had some frosts here and the pruning should be interpreted in real time. Again, the people in charge of the pruning are really important”. We get back on the car, climbing down the hill, then we cross the main road towards the hill of Castelnuovo Calcea. 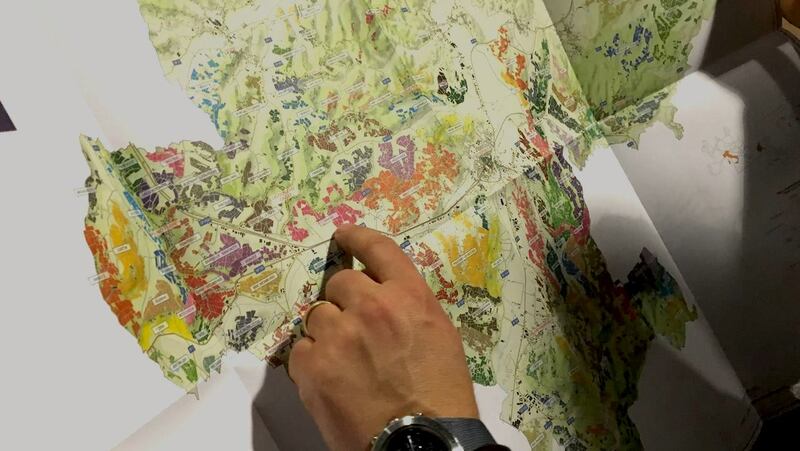 We’re still in the Nizza DOCG area, the sub-zone is Gavelli. 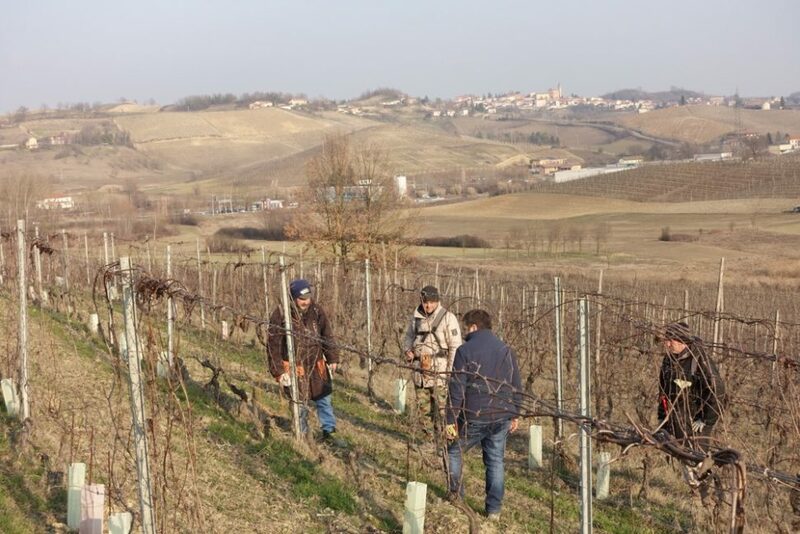 11 hectares of vineyards producing Chardonnay for Monteriolo but also Barbera. 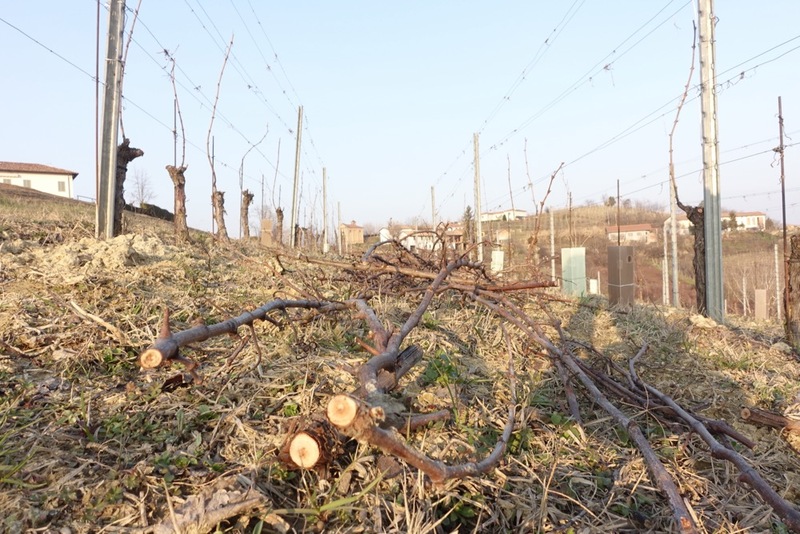 The training system here is again Guyot, the pruning should be tailored around the needs and specificity of each vineyard and each plant also here”. Among the vineyards of Castelnuovo Calcea there’s also the one producing the grapes for Riserva della Famiglia. It’s one of the oldest vineyards of the company. The size of the stumps and the variety of their shapes here reveals the ancient age and importance of these vineyards. Some plants are yet to be pruned. “We cuddle all our vineyards, trying to prolong as much as possible their life. As I said, pruning is crucial. If you do it the right way, you’ll preserve the future of the plant and minimize the work needed”. “After the pruning, there’s the cut back. All the parts that we didn’t use were cut into pieces and left on the ground, every other line of plants, in an organized manner. It’s a simple but never unplanned action. In the vineyard everything happens for a purpose, with a plan. The shoots are tidied up in a certain way to ease up what will be done in the future. Those who work in the vineyards know that every action has a consequence”.